Ideal for noise up to 98dBA. 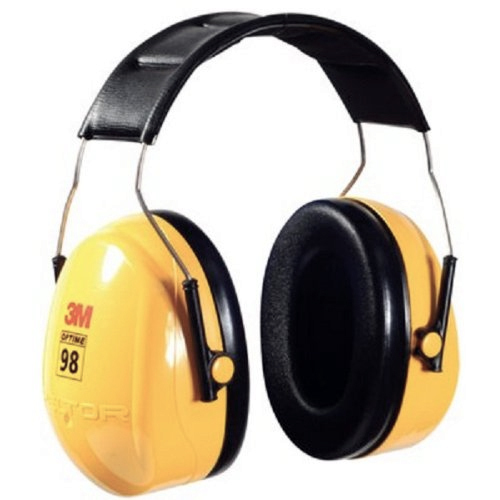 The 3M Optime 98 is one of the most versatile earmuffs in industry today as it delivers the proper protection needed for a broad range of work areas with increased noise levels. When assessed noise levels reach up to 98 dBA, there is no better choice earmuff than the 3M Optime 98. Dual low-pressure bands improve comfort. Broad foam cushions provide low surface pressure. Ideal for noise levels up to 98dBA. There is a one years guarantee against defects in material and workmanship. The guarantee does not cover damage caused by misuse, abuse or unauthorized modifications.